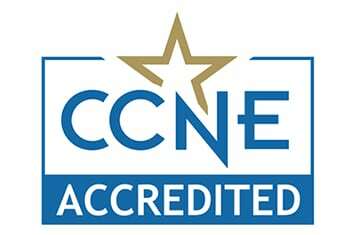 Northern's RN to BSN Program CCNE Accreditation Extended 10 years! October 25, 2016 Comments Off on Northern's RN to BSN Program CCNE Accreditation Extended 10 years! The College of Nursing and Health Sciences is pleased to announce that the Commission on Collegiate Nursing Education (CCNE) Board of Commissioners acted at its meeting on September 20-22, 2016 to grant accreditation to the baccalaureate degree program in nursing (RN to BSN Program) at Northern New Mexico College for 10 years, extending to December 31, 2026. The CCNE Board determined that the program met all four accreditation standards with no compliance concerns. The Baccalaureate Degree in Nursing at Northern New Mexico College is accredited by the Commission on Collegiate Nursing Education, One Dupont Circle, NW, Suite 530, Washington, DC 20036, 202-887-6791.